Take this quick quiz to identify your risk. What to watch for if you're concerned. 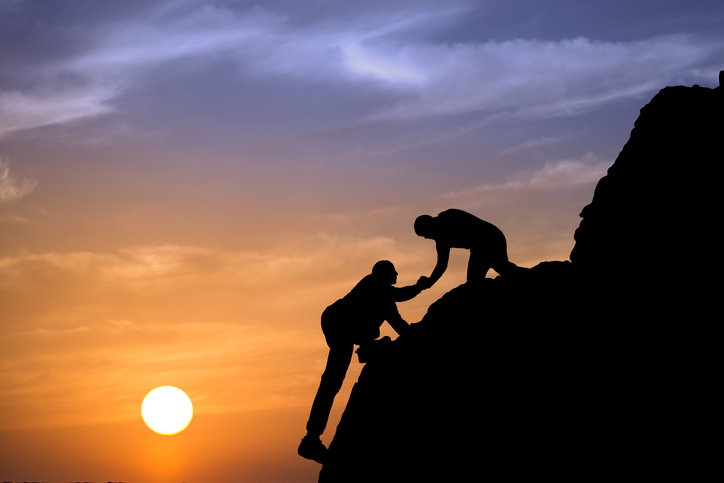 Learn more on how to give and receive help. Welcome to Your Life Iowa! We are here to help! Problem drinking affects persons who come from all different backgrounds. Problem drinking can affect people regardless of religion, race, education or income. Please call if you are concerned for yourself or someone you know. We are here to help. The road to restoration and help are only one phone call away. Connect with Live Chat, call (855) 581-8111(855) 581-8111, or text (855) 895-8398(855) 895-8398. If you have a problem with drinking, it can be difficult to talk about what to do or discuss how to cut back on how much you drink. If you think someone you care about has a problem with drinking, it can be very upsetting. You may not be sure what to do to help your friend, or you may not know how to cut back on your drinking. Get help from a trained professional as quickly as possible. Call us at Your Life Iowa. Drinking problems are hard to talk about. People around you may not understand. But there is someone who does - the person at the other end of a call to Your Life Iowa. We won't judge you. We listen. And we get you right to the help you need, wherever you are. Substance abuse prevention services are available in all 99 Iowa counties. Access problem drinking and substance use prevention resources here. Warning signs for problem alcohol use and alcohol addiction are different. Identifying how the use of alcohol interferes with and affects your life or your family member's life can be difficult, but can be the first step in understanding how to take the next step towards improving quality of life. Identifying if you or your loved one is affected by problem alcohol use or alcohol addiction will help to identify what the next step is in improving your or their life. Learn more about problem drinking warning signs. 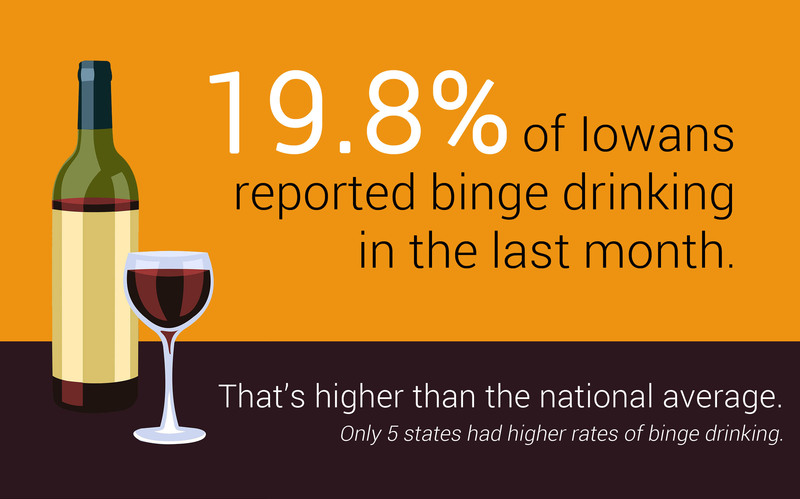 Find out more about binge drinking in Iowa and other Frequently Asked Questions. How much of what you know about problem alcohol use is actually true? Review some common myths and facts about alcohol use. Do you or does someone you know have problems with alcohol, drugs, or problem gambling? Find help close by.